Have you faced a similar situation of support.apple.com/iPhone/restore screen? In this situation, when you turn your iPhone for the initial time, the screen will show a normal screen of startup configuration. But then the actual issue starts! The iPhone will suddenly shutdown and again restart along with showing the charging cable logo and the iTunes logo on the screen. Even though you plug it and try restoring it again, you will see the same screen; the only difference will be a message on the screen's top that reads: support.apple.com/iPhone/restore message. In the below article, we have got the best solutions for support.apple.com/iPhone/restore error message on iPhone 6/6s/7/8/X. With a simple and easy restart of the iPhone, the "support.apple.com/iPhone/restore screen" issue can get resolved sometimes. Restart always aids to get your numerous problems solved. Hence, we suggest you to go for a restart to solve this issue too. Follow below steps to restart your iPhone. 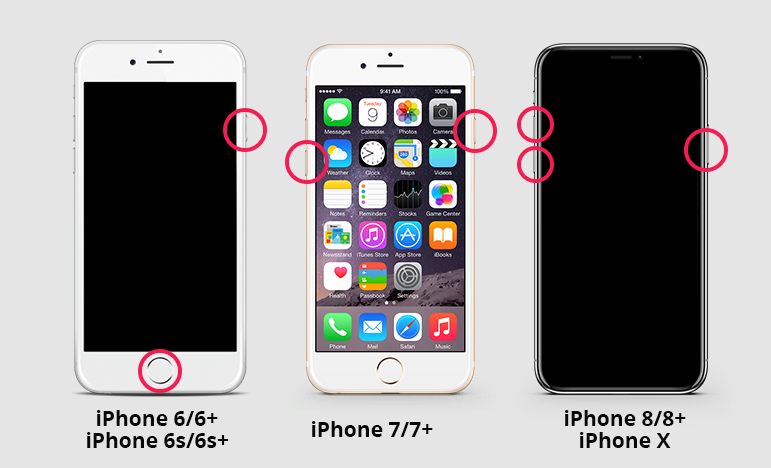 Step 1: At the right top side of the iPhone, the Power button is present. Long press it till the option "slide to power off" is seen on the screen. Simply, slide the slider which will turn off the iPhone. Step 2: Again press and hold the Power button; this will switch on the iPhone. Leave the button till the Apple logo is displayed on screen. Let go button when you see the Apple logo. If the above mentioned restarting method doesn't help you and you are still stuck with "iPhone stuck on connect to iTunes screen" issue, you now require a professional help for getting the issue solved. Tenorshare ReiBootTenorshare ReiBoot is a tool that helps to solve all types of iOS problems. The tool will get you out of any kind of iOS stuck issues of your iPhone and that too with "zero" loss of data. The software proves great in solving any problem in just one click. Follow below steps to solve the problem. Step 1: Download, install and run the Tenorshare ReiBoot software on computer and then connect your computer to your iPhone. Your device will be detected if it is already in recovery mode. Step 2: Click "Exit Recovery Mode" and the software will start getting your iPhone out of that. Within one minute, your device will reboot normally. Many a times, people tend to face support.apple.com/iPhone/restore screen issue because of some problem in iOS. Therefore, you always can try updating your iPhone. Below are the steps to do that using iTunes. Step 1: Open the iTunes on your PC and connect your iPhone to the PC. Step 2: Now iTunes will detect your iPhone automatically and you'll see an pop out window like below asking you to update or restore iPhone. Step 3: Click the option "Update" and just wait for some time so that the process is completed. The above article has discussed the best and the simplest ways to get your iPhone error message support.apple.com/iPhone/restore issue solved. But if no methods help you solve your issue, we greatly suggest Tenorshare ReiBoot as the best solution. It is the ultimate way to get you all and any iOS stuck and other such problems solved including the recovery mode screen problem on your iPhone X/8/7/6. Share your valuable feedback with us in the below comments. Furthermore, let us know which was the best method for you that helped you solve your problem.